A dazzling combination of flowers, fruits, and enticing fragrances reminiscent of the African festival season. A cooling and refreshing mint blend with a rich and flavorful honeybush profile. A great drink to cool down fast. Sweet and spicy apple chai. 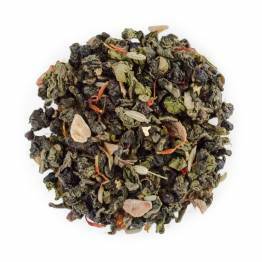 A delicious and sweet berry infusion with crisp green rooibos! Cool down with this intensly sweet and tart infusion with a bright red color - great as an iced tea. Bright, citrusy and zingy, caffeine-free tea, providing you with refreshment and amazing health benefits too! Sweet, refreshing and delicious lemon drop iced tea! 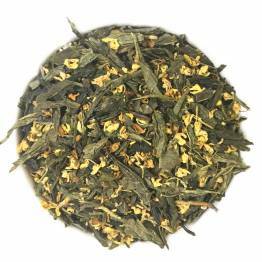 A classic and delicious blend of Sencha, osmanthus petals and peach essences. Perfect for spring and summer! 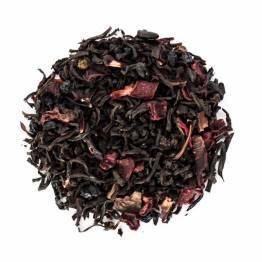 Red Rooibos is a sweet tea with a nutty taste and hints of fruit and citrus. The best vanilla rooibos we've ever tasted! Smooth, soft, and flavorful.